Staff Sergeant Michael Gibbons, USAF, age 28 of Moncks Corner, SC passed away unexpectedly Saturday, March 30, 2019. He is survived by his parents, Gary and Annamarie Gibbons; his fiancé Katelyn Basinger; his sisters and nieces and nephew: Heather and Jason Vander Wey (Ella, Isla and Preston) and Heidi Gibbons; his grandmother Helen Richardson and several aunts, uncles and cousins. Mike graduated from Jenison High School in 2009 where he played baseball and golf. He enlisted in the United States Air Force on his 18th birthday. Mike was stationed at Joint Base Charleston, SC. 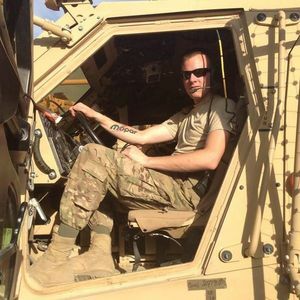 He served 2 tours at Bagram Air Base, Afghanistan; he also served tours at: Osan Air Base, South Korea, Incirlik Air Base, Turkey, and Al-Udied Air Base, Qatar. Mike specialized in Air Transportation in the United States Air Force, he was affectionately known as a "Port Dawg". Add your thoughts, prayers or a condolence to Staff's guestbook.